The Vodafone Smart N8 pdf user manual contains 114 pages. It's devided into 17 section. 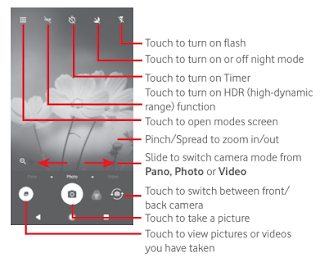 The manual provide detail reference information such as learn phone layout on page 4, using home screen, Inserting or removing the microSD card, Using the onscreen keyboard, using contacts, tutorial Connecting to the Internet, using Chrome, Connecting to Bluetooth devices on page 54, VPN settings, Using camera, using Google maps, etc. Then about about settings guide on page 74 for example Wireless & networks settings, Tethering & portable hotspotupdate phone on page 96.